If Windows Phone 7 flops, it certainly won't be for lack of trying. We've identified seven aspects of the new phones and operating system that should make Microsoft proud and has us intrigued. Microsoft has orchestrated a far more grandiose grand unveiling than either Apple or Android. Instead of a single phone from a single carrier like its rivals, there will be nine Windows Phones from four hardware makers (Dell, HTC, LG and Samsung), from multiple carriers (AT&T and T-Mobile to start in the U.S., Sprint sometime in the first half of next year, a total of 60 carriers worldwide), and in 30 countries. That's a lot of choices. Most of the world, even Mac users, uses Microsoft Office products — Word, Excel, PowerPoint, OneNote, Outlook — and these are all naturally integrated into WP7 like no other office suite in any other mobile operating system. For business types, this capability, combined with Microsoft Exchange, might prove to be more of a lure than the distinctly un-businesslike iPhone for disaffected BlackBerry users. Apple surprisingly didn't sue Google over Android's look and feel, but this time they have no copycat case against Microsoft. Windows Phone 7 hub-based tiled user interface doesn't look like any mobile operating you've seen. Instead of hunting for individual apps to accomplish something, the whole screen can be customized like the bottom row of apps on the iPhone by "pinning" a contact or photo or Web page or app or anything to the home screen. Remember that scene during the climax of The Devil's Advocate, when the painting behind the scenery-chewing Al Pacino comes to life? That's sort of what WP7's animated tiles remind me of. All of a sudden, images in the tiles start to move. There are no satyrs, but it's kind of spooky cool. And if the tiles aren't animated, you get a large numeric indication of unread or new items. Your phone's asleep but a scene is quickly developing demanding a snapshot be taken? On an iPhone or most Androids, you have to wake the phone up, slide the lock screen away, then locate the camera app. By the time you get the phone into shooting mode, the opportunity has passed. But all Windows Phones have a dedicated camera key that, when pressed and held, bypasses the lock screen and, in just a couple of seconds, goes right to the camera app for candid capture. Apple has iTunes and à la carte video, but a subscription service is more suited for mobile devices. Microsoft has struck a deal giving Windows Phones access to all AT&T U-Verse content for a monthly fee. Unfortunately, no details (such as pricing) are available yet. But if you happen to be a home U-Verse subscriber, you'll get all that access through Windows Mobile for no extra charge. And of course, each handset maker and carrier is likely to add supplemental services such as a Netflix app. All of these offerings instantly makes Windows Phones the best mobile content hardware ever. 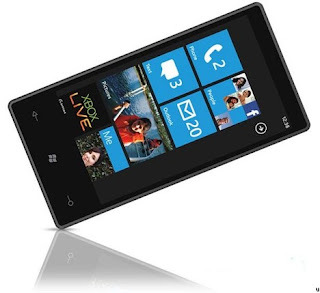 Most Windows Phone models have a 3.5-inch-plus screen, a 1GHz Snapdragon engine, 16 GB of built-in memory, a 5MP camera, HD video recording, integrated Mobile Office, multi-player Xbox Live gaming, U-Verse subscription video — all for $200. Okay, maybe not cheap, but they're not more expensive than the top Android models and the 16GB iPhone 4, and the fact that their not puts Microsoft right in the game. For every wonderful trick and treat Microsoft presents in Windows Phone 7, there were plenty of functions absent that iOS and Android have made names for themselves doing. Once compared, it's obvious WP7 is not finished, Considering how advanced Windows Phone 7's competition is, the following seven deficiencies make a mockery of Microsoft chairman Steve Ballmer's claim of Windows Phone 7 being "thoroughly modern." This one's a stunner, but Ballmer has reportedly been talking with Adobe so WP7's lack of Flash may only be temporary. Another stunner. Once Android showed how multitasking could be done on a mobile phone, even Apple was forced to play catch-up. For Microsoft to unveil a new, "modern" OS and not include multitasking is puzzling to say the least. The whole idea behind Microsoft's hub-based gestalt is to focus on activities rather than sterile apps. But "email" isn't included under "messaging," and there are separate apps for Outlook, Hotmail, Gmail and every other email source. This does't meet Microsoft's "fewer clicks" design goals and could prove to be frustrating to users. We know this is only temporary — the last item mentioned at the Windows Phone announcement was that cut-and-paste would be part of a software upgrade early next year. But like all of Windows Phone 7's other missing tidbits, not including this basic capability, which caused iPhone users to loudly howl, makes it seem Windows Phone 7 was rushed to market before it was ready. 5. Where Are the Apps? Several high-profile apps such as eBay, IMDb, and Sims 5 were showcased at the Windows Phone 7 unveiling, but the only other mention of apps was vague generalities — hundreds of thousands of developers downloading the SDK and thousands of apps expected. When and how many? Excellent question. I've said it before and I'll say it again: without a desktop client, the mainstream phone-using consumers Microsoft hopes to convert will become frustrated if they don't have an easy of way of loading music, videos, photos, etc., onto their handsets. Windows Phone 7 is in about the same shape Apple's iPhone OS was in 2007. Individually, no single one of these missing capabilities is a problem. But reviewers are likely to take Microsoft to task for missing so many of them, leading to negative comparisons with iPhone and Android Microsoft can barely afford.